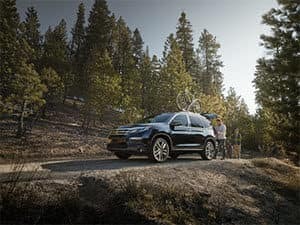 It’s no secret that staying up-to-date on your Honda Pilot maintenance schedule is one of the easiest ways to keep your SUV performing at its best. To help, well guide you through the service intervals for the first 100,000 miles. If you have questions about the information discussed in this maintenance schedule or for service intervals beyond 100,000 miles, contact us at Norm Reeves Honda Huntington Beach proudly serving drivers from Fountain Valley, Costa Mesa, and Newport Beach. This service appointment will be a relatively short one, consisting of your basic oil change and a tire rotation. Your last service interval involved several inspections. This time around, you’ll only have a few parts that need to be replaced. For instance, you’ll need to change the rear differential fluid, cabin air filter, and engine air filter and inspect the drive belt(s). You’ll also want to change the oil and rotate the tires. Need maintenance? Schedule a service appointment in minutes by clicking here. When you reach 45,000 miles, all your Honda Pilot needs is new brake fluid. Your Honda technician with replace the brake fluid with new fluid, as designated by the manufacturer. Another simple service interval: All your Honda Pilot needs is an oil change and a tire rotation. After the last big service interval, you’ll be happy that all your Honda Pilot should need at 70,000 miles is an oil change and a tire rotation. However, it’s always wise to have a certified technician inspect the vehicle to make sure that no other issues are present. Does Your Honda Pilot Need Service? 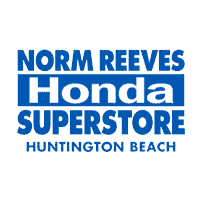 If you live in the Fountain Valley, Costa Mesa, and Newport Beach area, you can schedule service at Norm Reeves Honda Huntington Beach. Our skilled service technicians can help you to keep your Honda running properly for years to come. Contact us today!